Here’s a recipe for the bread, scaled down to make one large or two small loaves (recipe after the jump). The night before you want to bake the bread, make the dough. Start with the warm water in a medium bowl. Then sprinkle the yeast over the top of the water and stir to dissolve. Set aside. In a large bowl, combine the flour and salt. Mix well. When the yeast starts to bubble up in the warm water, you’re ready to mix the wet and dry ingredients. Make a well in the center of the flour mixture. Slowly pour the water-yeast mixture in, using your hand to incorporate the liquid into the flour. A soft dough will form. Kneed the dough in the bowl for a few minutes, then form it into a loose ball. Leaving the dough in the large bowl (no need to wash it), cover with a paper towel and then with plastic wrap. Poke a few holes in the top to vent. Leave in a warm place (say 70 to 80 degrees F) overnight. In the morning, you’re ready to bake. Preheat the oven to 425 F. Line bread pans or sheet pans with parchment paper and a sprinkling of flour. Uncover your dough. Note that it will probably be batter-like, not a dough ball. That’s okay. With a sharp knife, cut the dough in half. Form two loaves, and place them in/on your pans of choice. At this point, you can add fillings to flavor the bread. 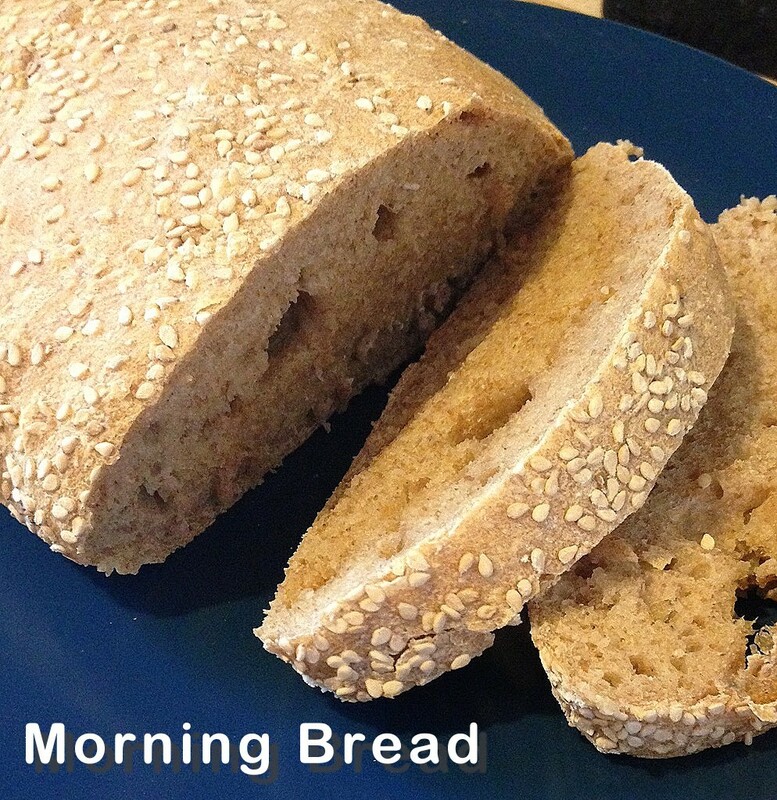 To do this, for each loaf, prepare about a half cup of filling. Roasted red pepper and garlic, olive oil and fresh herbs, dried fruits, spices, and/or nuts are all good choices. Distribute the filling in a line down the middle of the loaf, flatten the dough a bit, then fold in first one side of the dough and then the other. With your knife, make three slashes on the top of each loaf. Bake for 30-45 minutes, or until the top has turned golden brown, the loaves are very firm, and/or a knock on the bottom crust of a loaf makes a hollow sound. Remove from the oven and allow to cool for five minutes–if you’re patient enough! Slice the bread and slather with farmstead butter or nut butter and jelly. Wait at least 10 minutes after eating before you attempt a reverse star or washing machine.